Today, W. Charlene Ammons, author of The Plan, is here to talk about how how her upbringing in one of the Southern States of America has affected her writing. She is in the middle of a blog tour and has a giveaway in progress. Click this link to find out more. Before I begin, I would like to thank you D.A. for allowing me to be a guest blogger on your page. It is a great honor for me to share with you my thoughts and feelings. I’d like to talk on the topic of being “different” and how it relates to being a writer. Specifically for me, one of the ways I am segregated by some people is because I am a Southerner (Northwest Florida). In a society where we are encouraged to be tolerant of others and their unique features, I still get fake Southern accents thrown my way every time I talk. It sickens me. They slather it on as thick as mayo on a hamburger at a fast food joint. I don’t know if they think they are being witty, or just trying to break the ice, but I really wish they would stop. I’m on my high horse as I write this, opening a floodgate of emotion through my written words. I refuse to drop the slur that naturally rolls off my tongue just to please others. To do that is to deny all that makes me who I am. It is with this lack of understanding by others that I write about the South and all there is to love about it… People flock to our Gulf Coast to eat our seafood and have their portraits made on our sugar sand beaches. They buy up our rolling farm lands. They try to re-create our rich desserts in their upscale kitchens. They tour in awe at our architectural genius. They grind up against the one they lust after while listening to the beats of blues or rock and roll. They hang on the descriptive words of Truman Capote, Harper Lee, and Tennessee Williams. I use what the Good Lord gave me (a talent to communicate and my life experiences being an outsider) to tell stories that EVERYONE can relate to. There comes a point in every persons life when they feel like they are the “black sheep”, although they may not openly admit to it. There’s nothing wrong with being different. A person who stands out in a crowd is in a better position to see a situation differently… to think outside of the box. As a writer, it is vital to be an originator; to be creative. So, as long as the majestic Magnolia blooms forth its large, fragrant flowers, I’ll keep fighting the good fight. I’ll keep putting my armor on,wear that badge, and deal with the blows from the sharp edged tongues of the those “insiders” who think we all must be cookie cutter versions of each other. When I fight back, they will know that there is more to this Southern Belle than a big smile and sweet drawl. I am a Southern Lady…hear me roar! 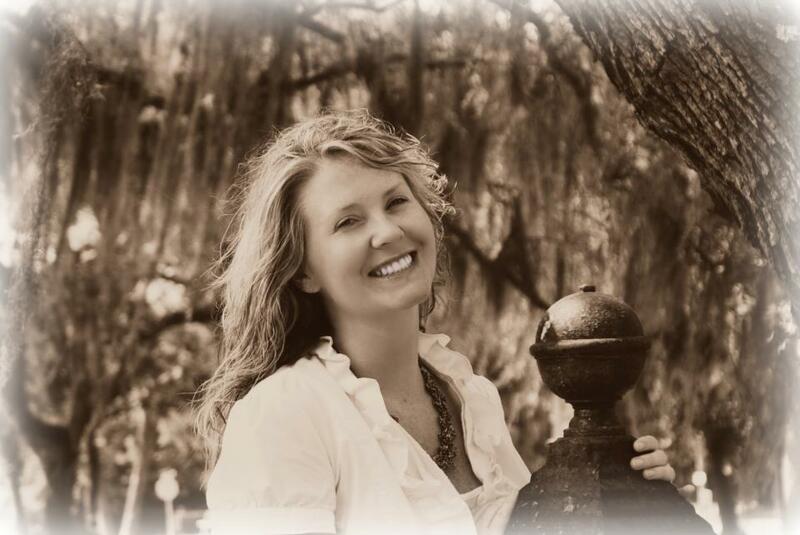 W. Charlene Ammons was born and raised in Northwest Florida. As the daughter of the local chief of police, she was exposed to the law enforcement community early on in her life. She later received her degree from Florida State University and entered the field of law enforcement, where she has served as a field training officer, a traffic enforcement officer, and an investigator. In her spare time, she enjoys gardening, playing guitar, and collecting all things related to The Beatles. She currently resides in the Florida Panhandle with her husband Brian. Mrs. Ammons has penned two books: The Plan, the first book in The Honeysuckle Chronicles. The second book in the series, The Lesson, was released on Feb. 15, 2012. The third book, The Bloodline will be released in the spring of 2013. Omega, Alabama in 1941 was a place that only storytellers could dream of. Times were hard and faith was wandering; until Mode Lee entered the picture. The handsome preacher brought what appeared to be miracle after miracle to the tight knit community. However, evil things lurked in the wake of the arrival of this “Man of God”. It would take a frightened, mentally unstable child; the mother of the county sheriff; and a wild natured redhead to bring the truth to light. Everyone claims to have a plan. Only One is The Plan. Hi, I have a comment for the author. I am from South Africa, and personally i think the accent of the ‘south’ is one of the most captivating out there. Maybe people (me anyway) are not mocking or being mean, but are rather trying to emulate you. I have to say that on the topic of accents, there was a recent discussion about it in the LRP community with the main thrust being ‘is copying an accent badly automatically offensive’. I think the consensus was that no it wasn’t – you had to intend to be offensive or really badly overdo the stereotype. Simply attempting an accent and failing is fine. Of course, it is very difficult for a non native to accurately emulate an accent effectively unless they have lived in a region for a long period of time. In most cases, whatever you try will always be wrong. Thanks Linda! You know I love ya! It’s always good to be proud of your heritage. I lived in Mississippi for 4 years from 1988-1992 and I was the recipient of their wonderful southern hospitality. I really loved living there (outside of the humidity) and often wish the manners and respect ingrained in southern society were more prevalent throughout our country. Unfortunately, I think programs from the 1950’s and 1960’s, even into the ’70’s like The Beverly Hillbillies, The Andy Griffith Show, and Gomer Pyle , USMC helped to put the idea in the country’s consciousness that southerners were rubes. Add to that a slew of shows about backwoods boys running liquor, running from the law, or getting in general trouble and you can see how visions of the south formed for people from the North, East, and West of our country. Keep telling your stories. One book at a time, people will begin to get a different vision of the south. You are SO right on this one! It disgusts me to see shows like “My Big Redneck Vacation” on tv today. On top of that, there are Southerners who LOVE it and don’t see it’s influence on others. Then again, maybe they see it and are content to live a life with people thinking they are ignorant. Are there ignorant, backwards people in the South? Absolutely. Ignorant people are everywhere, just like there are intelligent, cultured ones.